Being part of something like Showtime’s new Twin Peaks must be exciting for an actor. You get to join in on the legacy of one of the most beloved cult-classic TV shows of all time, and you get the added pressure of knowing that everyone will partially blame you if the revival stinks. It’s like going to the playoffs for TV people, but with more snarky internet comments and fewer fans booing you in the stands. If this pressure is getting to the cast of Showtime’s Twin Peaks revival, they’re definitely hiding it well in this preview video released by the network. Featuring snippets of newcomers to David Lynch’s crazy little town and a couple of familiar faces who already know their way around the Black Lodge and the Double R Diner, this video is more of a tease of the actors you’ll see on Twin Peaks than it is an actual preview for the show itself. Still, it’s hard to deny that it’s cool to see people vaguely talk about all of the bizarre stuff that’s going to happen on the show. 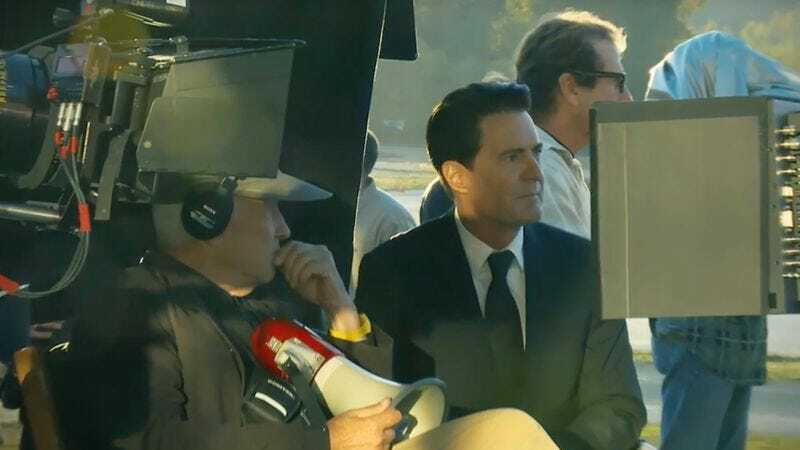 Also, this thing is clearly very important to original series star Kyle MacLachlan, who seems to get choked up a little bit at the end of the video—unless it’s just the invisible hand of Killer Bob trying to kill him from some alternate universe, of course.